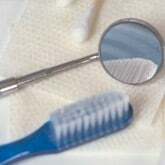 At DentalPlans.com, we make it simple for you to search our huge dentist directory to find a dentist in Toms River, NJ. Just enter your ZIP code to view the discount dental plans and dentists available in Toms River. Pick the best discount dental plan for you and your family to take advantage of dental care discounts at dentists like Dr. John Metrinko. Once you've joined the best dental plan for you, schedule a dental appointment with Dr. John Metrinko in Toms River and get discounts on General Dentistry and more. At DentalPlans.com, our discount dental plans start at only $79.95 per year and offer great discounts on General Dentistry and other dental care treatments. We make it easy for you to search the most dental care providers in combined networks anywhere! So whether you have a toothache, need a root canal or just want your teeth bleached, our qualified Toms River dentists or dental care specialists can help address your dental care needs.